Every thing you will ever need for an WordPress based website or Blog or even Woocommerce based shopping cart website. There are more than 40 million websites hosted on internet using WordPress CMS, this is excluding free wordpress.com sites. Out of which at least 200k to 500k websites get hacked every year. Most of these websites get hacked because of Hosting and insecure themes / plugins. Some of these websites also get hacked because of weak passwords. So do consult with us before getting started with your WordPress website to get right advice and to safe guard your business. We offer extensive support and services for all WP Powered websites. Be it Secure Hosting or SEO or even Theme design and development. We are here 24/7 to help you with every WP Job. Sign up and start ordering WP Solutions and Services to get going with the best and expert WordPress support team. 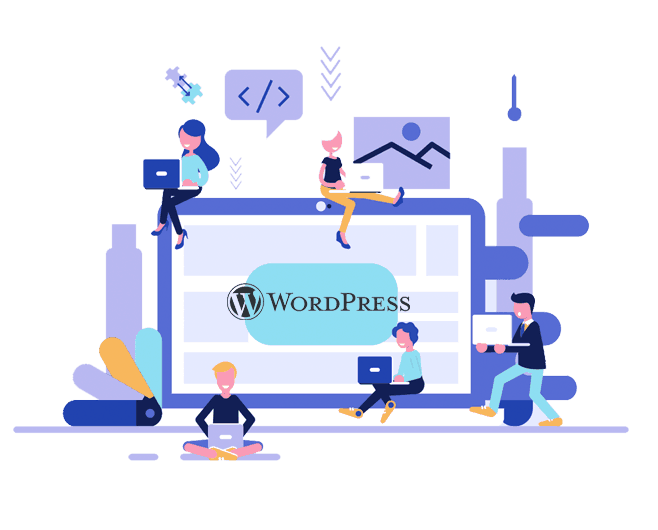 We are Aapta Solutions, a team of freelancers and dedicated employees with expertise in WordPress to help you with any WP Job right from Hosting to Development and Marketing. Scheduled backups for WordPress with out the hassle of manual job, synced and saved on drive and local folders. Start a new Ecommerce websites based on woocommerce with all features and modules built in. Easy to use custom Hotel website for Hoteliers, Serviced Apartments, B&B, Homestays with Booking Engine. Start your online appointment booking website using wordpress and organize your schedules the easy way. 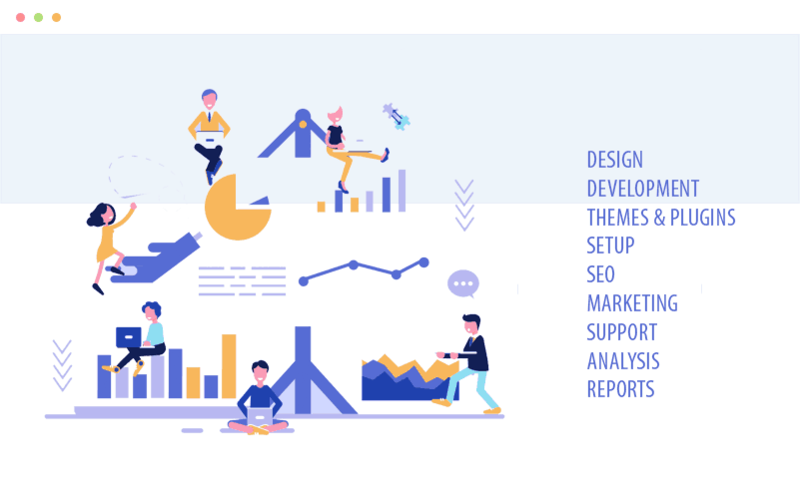 We know that your website is very important for you and your business, so we make sure to provide complete reports of every single action taken place on your website. 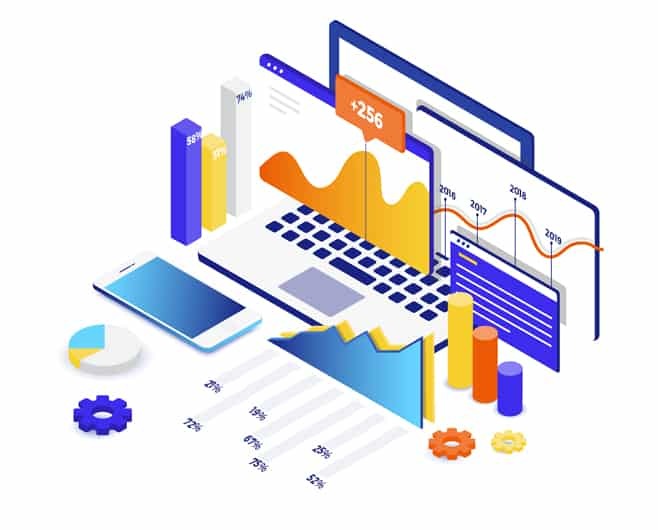 Analytics, SEO stats, Backlink Reports, Uptime Monitoring, Speed Optimization Reports, Security Reports, Vulnerability Reports, Malware scan reports and much more. Every service that we offer comes with a detailed report for you to analyze and plan your business for better. Try our services once and we are sure that you will be impressed with our tools and expert team.